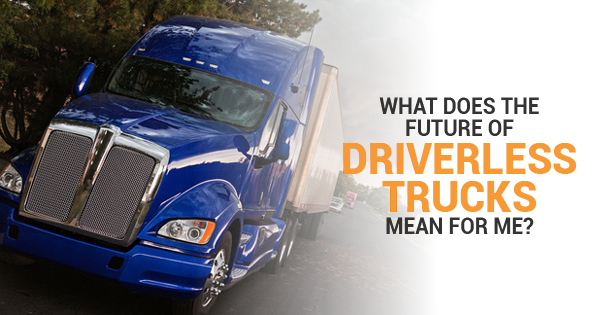 Home » What Does The Future Of Driverless Trucks Mean For Me? The U.S. Department of Transportation has recently given the “OK” to companies to begin testing driverless tractor-trailers. 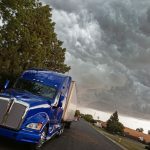 For those in the trucking industry, this move toward automation could be a great way to end the truck driver shortage. Still, for others, the future of automation could be a potential threat to your job. So what can you do to improve your job prospects as a truck driver with driverless trucks hitting the road as soon as 2040? How can I improve my job prospects as a truck driver? It’s no secret the trucking industry has a high demand for truckers, but a low employment rate. That said, even if automation will make a breakthrough in the next decade and driverless trucks hit the road, there will still be a need for truck drivers. Schedule a pickup at your destination. Truck drivers will often drive for long stretches of time toward a given destination before turning back around and heading back. To hit two birds with one stone, set up another shipment job at your destination so you’re already in the place where you need to be. Use technology when you can. Many companies still use paper and phone calls when it comes to tracking shipments, which can not only be time-consuming but also costly. Use technology when and wherever you can such as installing a mapping app in your truck. Meet the requirements for hazmat training. 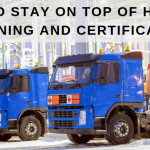 If you’re not already certified to transport hazardous materials, it may be in your best interest to seek out a certification. Up to 94% of daily hazmat shipments are done by truck. 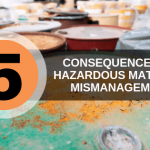 It’s safe to say that, whether or not you’re actively looking to ship hazardous materials, it’s a good idea to undergo hazardous waste management training online so you’ll be prepared should it come up in your future. 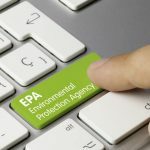 Where can I get my hazardous waste management training online? 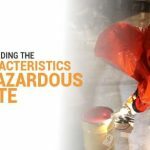 If you’re looking to get your hazardous waste management training online, Hazmat School is the place for you. Through Hazmat School, you can take your RCRA DOT training, OSHA confined space training, and Hazwoper training all online so you can meet the requirement for handling hazardous waste. To learn more about the requirements for shipping hazmat materials and online hazmat training, contact Hazmat School today. Education will always be your safest destination.